CrossFit is a popular intense workout that is liked and disliked by many. Basically, it is a strength and conditioning program that can help improve the muscular strength, cardio-respiratory endurance and flexibility. The program includes the combination of different workouts such as aerobics exercise, Olympic weight lifting, and gymnastics. To help you understand why you should avoid CrossFit no matter what, here is the list of reasons why this training stirs controversy. While others are amazed with the benefits of CrossFit, some think of this training as a fitness fad that is very dangerous and poorly implemented. So, should you or should you not try this training? I must say that you better think twice before you give it a try. Based on different reviews, CrossFit is unquestionably effective in keeping dieters in shape. However, the program is badly constructed and there are too many errors that need to be corrected before it is considered safe and efficient. 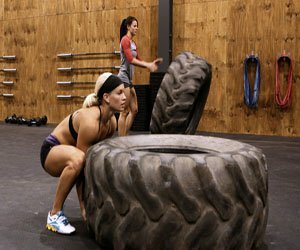 CrossFit I certification is a pre-requisite in order to get a level II certification which is one of the basic requirements to avail the fitness franchise. Since it is very easy to obtain, almost anyone can get a certificate, as long as they have the means to pay. Since it’s very easy to get certified, there are many incompetent trainers who continuously teach the wrong forms and make training videos, which shows numerous errors when it comes to the combination of exercises. Inadequately trained CrossFit coaches can be dangerous if they don’t fully understand the risks associated with what they are asking their clients to do. There are many injuries that you can get while you perform CrossFit. Apparently, it is because of the mechanics of the training and unreliable CrossFit instructors. The training requires intensity and speed, but it disregards safety. The different lifts involved in the training are energy draining, which makes the trainee suffer from fatigue that can result in poor training technique and ultimately training related injuries. In order to avoid injury, make sure that you’re physically and mentally fit to perform the training. Similarly, you also need to observe proper formation at all times. If you’re working out to get a six packed abs and muscular built, Crossfit is not the right training for you. Yes, it can keep you in shape, but it is not designed to pump up your muscles to make your body perfect for summer. I know this sounds a little extreme, but the truth is there is the risk of death with crossfit. Overdoing CrossFit can lead to serious health concerns such as Rhabdomyolysis, which is a condition where muscle cells explode after a series of strenuous activity, releasing myoglobin into the bloodstream. High myoglobin levels can result to kidney failure and death. Twenty minutes of Crossfit training can make your muscles terribly sore. Hence, you should be prepared mentally and physically before you start with the training. This is actually a good thing, only if you can maintain your focus while you beat your own time record. Problem is, you tend to lose focus when you rush to finish more lift. Hence, you often forget the right posture during your training. CrossFit diet is consists of 30% protein, 30% fats and 40% carbs. This diet may not work for everyone. Furthermore, keeping this type of diet do not guarantee that you will achieve your weight loss goal.